Every October the shops are filled with toffee apples for Halloween and Bonfire night but it’s never these that interest my kids it’s the chocolate ones! I did make toffee apples many years ago and after eating one you really don’t want to eat any more and I made masses! 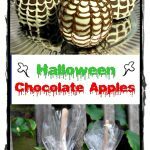 So with this in mind I decided to make my own Halloween Chocolate Apples which are equally good for Halloween or Bonfire Night! My recipe (if you can call it a recipe) makes 4 so you can just tailor it to the number you want to make. You don’t have to make a web pattern of course, you could do any numbers decorations and get your kids involved in piping on spiders, skulls, ghosts, cats etc and it really doesn’t matter if they’re not perfect looking, the idea is to have fun! I was given some Halloween sprinkles recently but after seeing all the e numbers in them I decided that unadulterated chocolate was the only thing I was going to feed my family! Call me old fashioned but if something doesn’t look like you should be eating it eg glittery then I really don’t want to eat it! 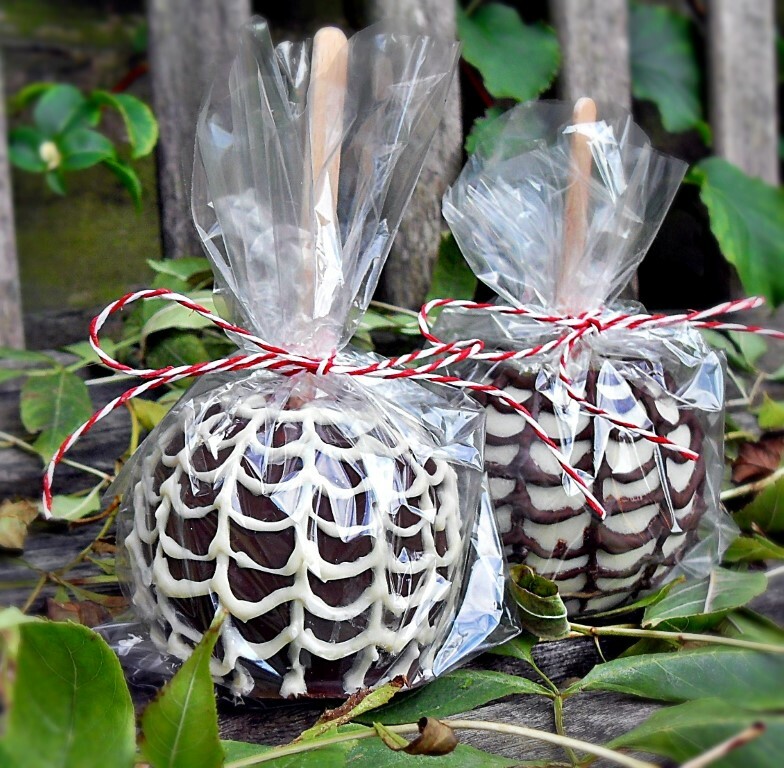 I do hope you have a go at making your own Halloween Chocolate Apples and if you’re having a party I think they would be lovely to give to your guests as party favours. If you think it’s a bit of a faff to get hold of cellophane to wrap them in take my tip and use a roasting bag (folding the excess around the back) and cut to size! No-one will know! 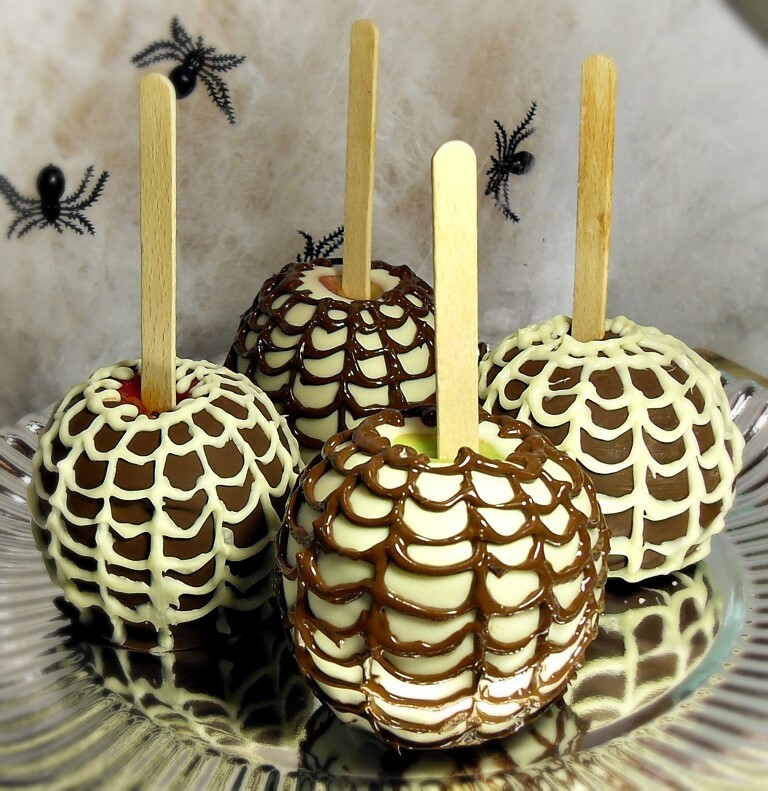 Halloween Chocolate Apples decorated in chocolate spider's webs to impress your visitors or just make them for yourselves! Push a lolly stick into each apple. Melt the dark chocolate in a small bowl over a small pan of barely simmering water. (Turn off heat once melted). Holding the stick roll 1 of the apples in the chocolate (you may need to tilt the bowl for full coverage) then place on baking parchment to set. Repeat with a second apple. Then melt the while chocolate in the same way as the dark and coat 2 more apples and then place all the coated apples in the fridge for 10 minutes to fully set. Once the chocolate has set put the white chocolate back over the heat to melt and place half of it in a small piping bag with a tiny nozzle or one fashioned out of baking paper with the end sniped off. 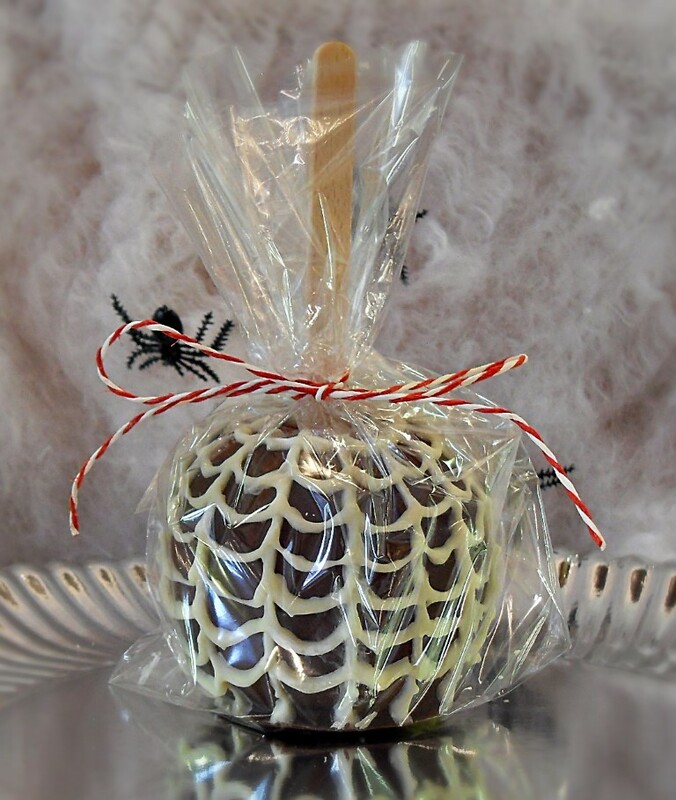 Decorate a dark chocolate apple with a web pattern by starting with a series of downward stripes and then proceed to join those stripes with a small curve. Repeat procedure for the next dark chocolate apple. 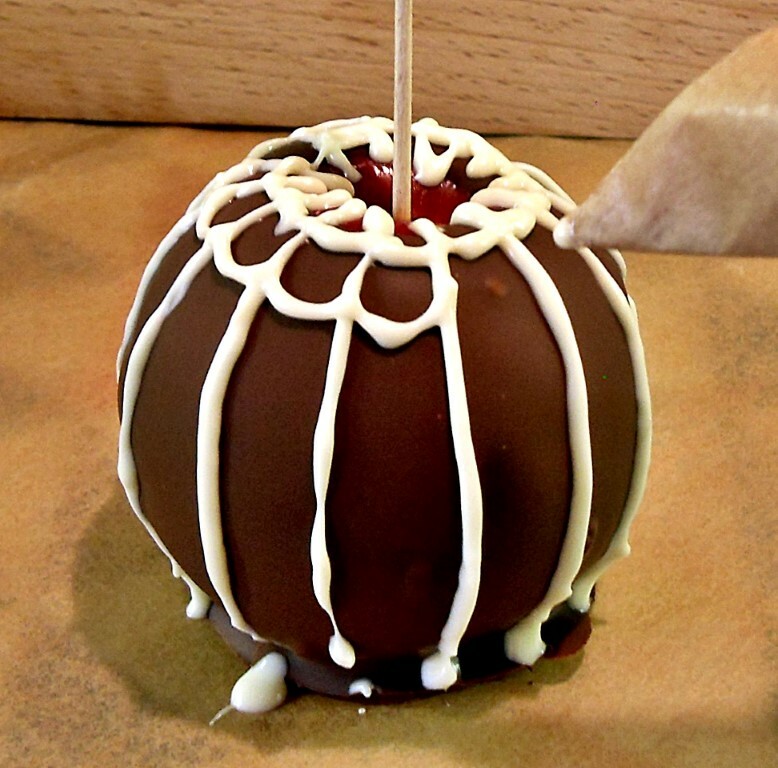 Then melt the remaining dark chocolate and repeat the above procedure for the white chocolate apples. Allow to set and then wrap in cellophane or roasting bags and tie with a ribbon or string! To make a piping bag out of baking paper, tear off a square, fold in 2, then form a cone shape (more folding makes it easier), folding the top over and snip off a small hole at the end. For more seasonal sweet treat inspiration why not check out my Kransakage Mummies or Jacqueline’s Soot Sprite Truffles. 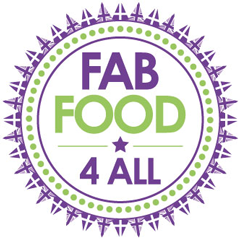 Credit Crunch Munch which I run with Fuss Free Flavours & this month hosted by A New Addition. Treat Petite where the theme is Trick or Treat which is run by Cakeyboi and The Baking Explorer who is also this month’s host. We Should Cocoa where the theme is Halloween which is run by Chocolate Log Blog & hosted this month by Honey & Dough. 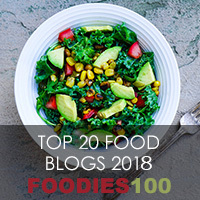 Lets Cook for Halloween which is run by Simply Food. Simple & in Season which is run by Ren Behan. Love the look of these apples. So effective! These are absolutely fantastic – it’s an art – and look perfect. Yum. They look fabulous, far neater than my attempt.